Temper the indoor environment with innovative water-based heating and cooling technology; DVM S WATER is a high-capacity outdoor cooling and heating system, ideal for large buildings. 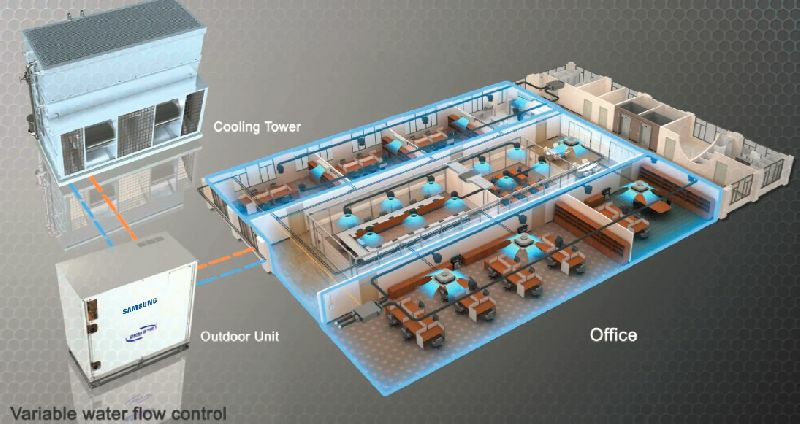 Unique to other DVM S models, the DVM S WATER air conditioning system uses water as its heat source, which connects to a cooling tower and boiler. Using a highly efficient compressor and heat exchanger, DVM S WATER provides effective and reliable performance despite changes in the surrounding environment. It’s long piping and lightweight design also makes it easy and economical to install almost anywhere. HeatPump Type Individual Heating & Cooling operation. Eco Friendly - Renewable Energy Source Uses Geothermal energy as a heat source.